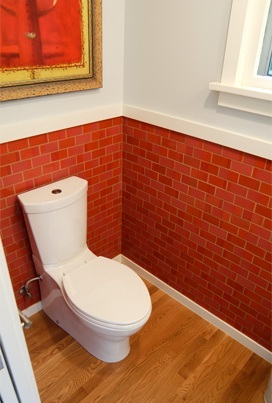 Our plumbing projects can be varied, but they all come with the same promise of quality, dedication, and durability. Licensed, Bonded & Insured, we are Black Cat Plumbing. A custom plumbing contractor with superior knowledge and work ethic handed down for generations. We offer a lifetime guarantee on all workmanship. Like those who came before us, our installations will stand the test of time. Black Cat Plumbing was started in 2006 as a plumbing service shop by Mike Perrotti. With a reputation as a top quality installer and an expert in high efficiency water heating, the business quickly expanded. Over the years we have become a team of top notch installers and creative problem solvers. Black Cat has some of the best plumbers in the trade and as a training facility for the Oregon Joint Apprenticeship & Training Committee we plan on making more of them. We continue to work for Portland’s finest Custom Home Builders & Remodelers. We continue to build out and service Portland’s unique Restaurants & Cafes. Most of all, we continue to help Portland homeowners to expand, develop, and solve plumbing problems.